Natrium 2.0 — NANO Mobile Wallet now Available on the iOS App Store! 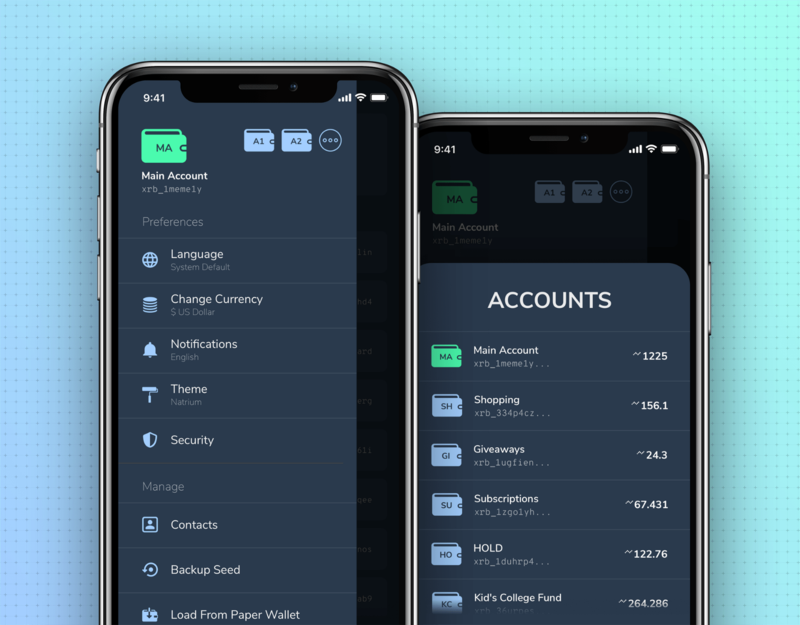 Natrium — a mobile wallet for the NANO currency — is now available on the iOS App Store! 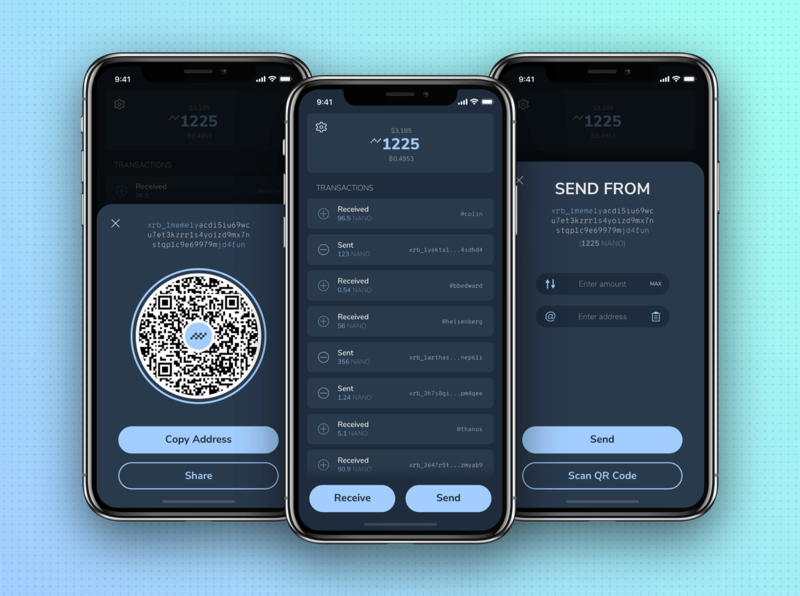 Natrium is an intuitive, user-friendly mobile wallet for the NANO cryptocurrency. Natrium 1.0 was originally released in November on Android and the reaction to the release was overwhelmingly positive. Since then, we’ve been investing hundreds of hours on the next generation of Natrium. 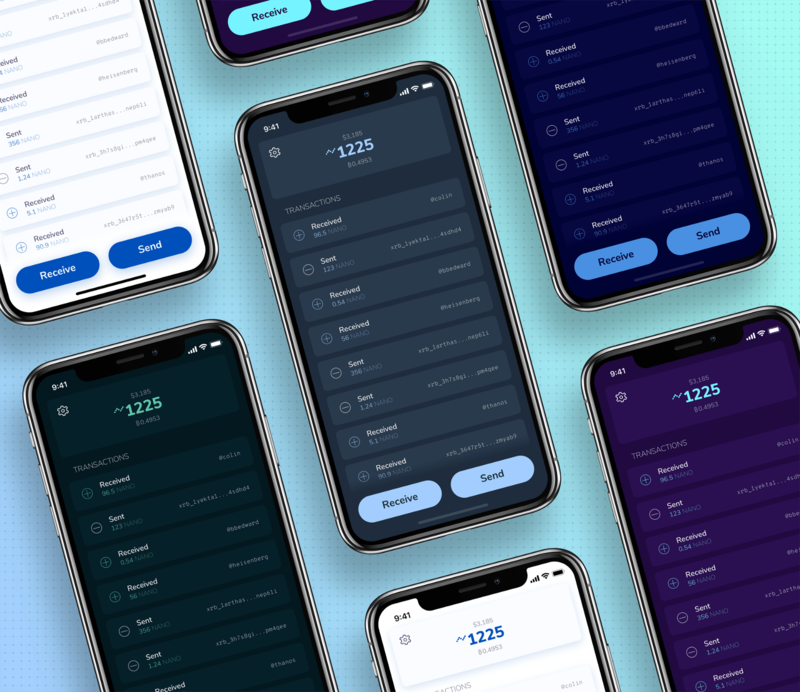 We expanded the interface to allow for multiple accounts by using an account-switching interface that most people are already familiar with — similar to some of the most popular apps people use such as Twitter, eBay, Telegram, and many more. You can add up to 20 accounts, hide them, and rename them. Switching to a different account takes only one tap, then you’re instantly ready to use it. Push notifications work for all 20 accounts, tapping a notification will open the app and automatically switch to the account the notification is for — making the entire experience as seamless as ever. Natrium 2.0 introduces a comprehensive theme system. From clean and professional to wacky and bright, there’s a style for everyone. These themes customize the entire experience — even down to the app icon itself. We plan to add more themes over time, and are considering implementing the concept of un-lockable themes. For example, change your representative to a highly rated-one from My Nano Ninja — then unlock a new theme. This is just one of the possible ways that we can expand the themes in the future to make the experience more interactive and more fun. We’re going to continue our commitment to NANO and Natrium — Android users will be receiving the Natrium 2.0 update initially as a BETA within the next week or two. We have a new support channel on Discord at https://support.natrium.io — feel free to stop in to report any feedback you may have. Follow Appditto on social media to stay up to date with news and updates. Looking for a cross-platform app for your business? We build beautiful apps, in record time.